Increasingly, we witness high profile failures of both business and nonprofit corporations where a lawyer board member failed to do what was expected of them. Are lawyers who sit on nonprofit boards at greater risk than other board members? My answer is a qualified yes. While current law provides varying degrees of protection to members of nonprofit boards, this is subject to a case-by-case analysis and potential legislative or regulatory change. If they engage in practicing law on behalf of the organization while serving on the board and a lawsuit is filed, they may not be covered by either their malpractice or the nonprofit’s insurance. Throughout their service lawyers remain bound by their code of ethics and professional responsibility for which they may be accountable for their actions. Finally, as members of a public profession they are looked up to by others in society and expected to set a positive example. When a nonprofit fails or suffers a significant loss, particularly if avoidable, lawyers risk suffering significant business, community and reputational loss for their firms and themselves at a minimum. Before going on a board, an attorney should exercise due diligence with a goal of no surprises. At a minimum they should review: articles of incorporation; bylaws; IRS 1023 application and determination letter; the three most current IRS 990 forms; current financial audit, if available; correspondence from tax, government and licensing agencies; D&O, general liability, malpractice, and umbrella insurance policy coverage; current charitable solicitation licenses for all states in which the nonprofit operates; the preceding 12-18 months board and committee minutes; board policy manual; strategic plan and performance metrics; recent articles (e.g. Google search); and the website. Many of these documents should already be compiled in board manuals readily accessible to every board member. If they’re not, here is one way an attorney can have an immediate impact. Finally, they should talk with current and former board members and staff. Every board member should monitor financial reports on a monthly basis and review them thoroughly before board meetings. The board should receive an audit report without the executive director or senior managers present and make certain actionable recommendations are implemented. The board is responsible for establishing, monitoring and enforcing appropriate risk management policies and procedures. Risk management is everyone’s responsibility, including volunteers. The board sets the tone at the top through their policies, practices and review. Lawyers often have the experience and understanding to help a nonprofit think through risk-related issues. Conflict on a board will arise especially when challenging core assumptions (“sacred cows”). A board’s social nature seeks to limit, if not eliminate, conflict engendered when members assert fundamental differences. Boards may ignore or, worse, affirmatively shut down or eliminate dissenting members, thereby creating a perilous “group think” phenomenon. A lawyer’s experience in addressing conflict, especially through mediation skills, can be invaluable to make certain all sides of an issue are heard and considered. Fostering a board culture designed to test assumptions establishes healthy dialog when board members’ differing views emerge. This is why boards meet. Otherwise, their ability to confront reality and implement change diminishes. Lawyers are uniquely qualified to educate fellow board members on a board’s overarching legal responsibility to manage the nonprofit’s objectives. Because employment related litigation is an area of high risk for nonprofits, lawyers should be mindful that part of a board’s management responsibility includes appropriately hiring, evaluating and, if necessary, firing the executive director. Lawyers on average should spend several hours per week on board business. This includes: (1) attending and actively participating in board and committee meetings; (2) requiring information to be provided to the board in a timely manner and reviewing this information thoroughly in order to ask the tough questions; and, (3) seeking independent outside legal counsel when the need arises, rather than try to advise the board. You should not practice law on behalf of the organization! For every year a lawyer serves on a board they should be prepared to make a significant financial contribution and participate in the nonprofit’s fundraising activities. An attorney can best fulfill their board fiduciary responsibilities if they treat their organization and board service like one of their clients. They should apply the same high level of professional skill, leadership, engagement, knowledge and ethics. Finally, they should exercise good leadership by their example. 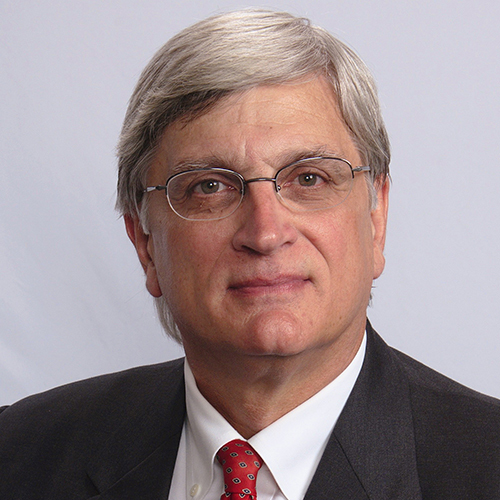 Marty Martin, JD MPA, of Martin Law Firm in Raleigh serves as outside general counsel for nonprofit and tax-exempt organizations and provides their boards and senior leadership with legal, management and tax-related advice. Martin served on the Internal Revenue Service’s Advisory Committee on Tax-exempt and Government Entities (ACT). Martin is an instructor for the Duke Nonprofit Management Certificate program and affiliated with North Carolina State University’s Institute for Nonprofits. He is a BoardSource Certified Governance Trainer. Martin received a Master in Public Administration (MPA) degree in managing nonprofit organizations from the Harvard Kennedy School.